Published January 8, 2018 at 600 × 450 in The Seagoing Cowboy story alive in Finland! 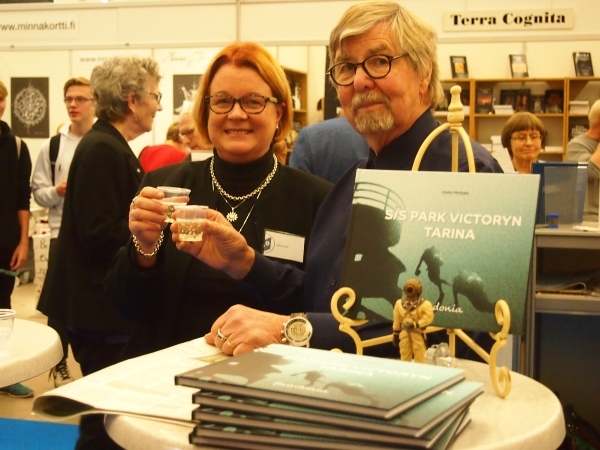 Jouko Moisala celebrates with his publisher, Anne Pentti, at the book launch of his book. Photo courtesy of Jouko Moisala.